The temple is 500 mtrs from the resource centre at Ghugumari. 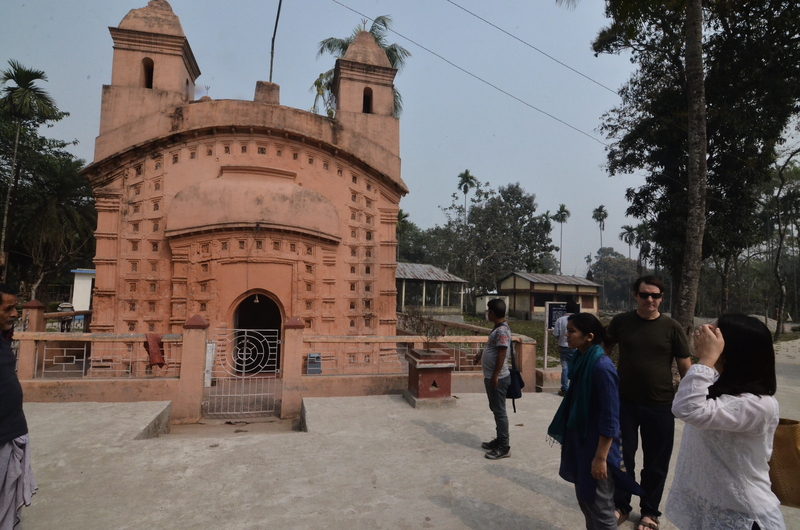 The Siddhanath Shiva Temple is a brilliant example of terracotta art and is located around 7 kms from Cooch Behar. This temple was established between 1799 and 1843 by Maharajas Shibendra Narayan and Harendra Narayan. The temple has five dome shaped peaks, the highest peak in the middle has however been destroyed since.